“How did self-harm even WORK before the internet?” my friend Michelle asked me the other day. She’s eight years younger than me, a gap that makes a crucial difference to the way we used the internet as teens. I had email and was on Usenet in 1994, but I was a nerd; online socializing was niche and inaccessible, and often geared towards the interests of people older than me. Michelle was a teenager in the time of Livejournal. She didn’t seek out self-harm groups — “I didn’t realize people talked about it until after I was done” — but they were there for her if she’d wanted them. Livejournal currently has 227 communities that list “self-injury” as an interest. Some are support groups; others are overtly pro-injury clubs for people who don’t want to stop. The message board Bodies Under Siege, founded in the late ‘90s, now has over 12,000 members. I couldn’t have imagined online forums with thousands or even dozens of other cutters. In my day we did not run in packs. We sniffed the air when we spotted another one and eyed each other warily, like tigers breaching each other’s territory. I had a complex personal ethos: if a girl didn’t hide her cuts, she was doing it for attention and I pitied her at best, loathed her at worst. Girls who hid could be trusted, but not implicitly; if she was worse off than you, she probably viewed you as a pretender. Once, for a few weeks at camp, I fell in with a group of diffident punks who shared tips (a heated-up pocket lighter makes a smiley-face-shaped burn, which is important to know but not to do because we’re much too cool for smiley faces). Sometimes I would form a fierce and instant bond with another cutter, and immediately devote myself to trying to fix her, because I cared or because I wanted to look worse by comparison or both. Mostly I marked them out and ignored them, tossing them into the black hole of teenage solipsism: other people are just looking for attention, only my pain is sincere. Would it have been different if I’d had a community? Would it have been worse? News articles and academic papers wring their hands over the peer pressure of self-harm forums, worrying that the girls (it’s most often girls) who stumble into them will get ideas or just be goaded into degrees of mutilation they’d never have attempted alone. Message boards that were once a Wild West of cutters comforting or fighting or encouraging each other now have rules that you can’t even type the words “self-injury” lest someone be tempted. Tumblr even banned explicitly pro-self-injury blogs, for whatever that was worth (you can still search the tags for “cutting” or “scars” or “mutilation” and find zillions of moody black-and-white shots, some with blood still bubbling out of a wound). But I think if I got the idea from anywhere, it was C.S. 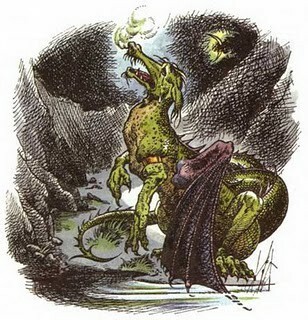 Lewis’ Voyage of the Dawn Treader, the scene where beastly cousin Eustace turns into a dragon. Since it’s Narnia he ends up saved by Aslan, the magical-lion-slash-transparent-Christ-figure, who painfully peels off Eustace’s dragon skin and leaves him human again but less of a jerk. I remember fixating on the idea that cutting away your skin could jump-start a metamorphosis — or, I suppose, punish you for being awful — and having that at the back of my mind when I started to cut. Dawn Treader was published in 1952, and I read it in 1988; no amount of online regulation would have kept me from discovering self-harm, even if the internet had been in full swing by the time I was in high school. If you’re receptive to this kind of thinking, you hardly need to have the idea served up to you by a community of like-minded emo teens. You will find the idea, even in its guise as a fantasy lion. You’ll find it, or it will find you. How did it work before the internet? It worked. It’s worked for a long long time. 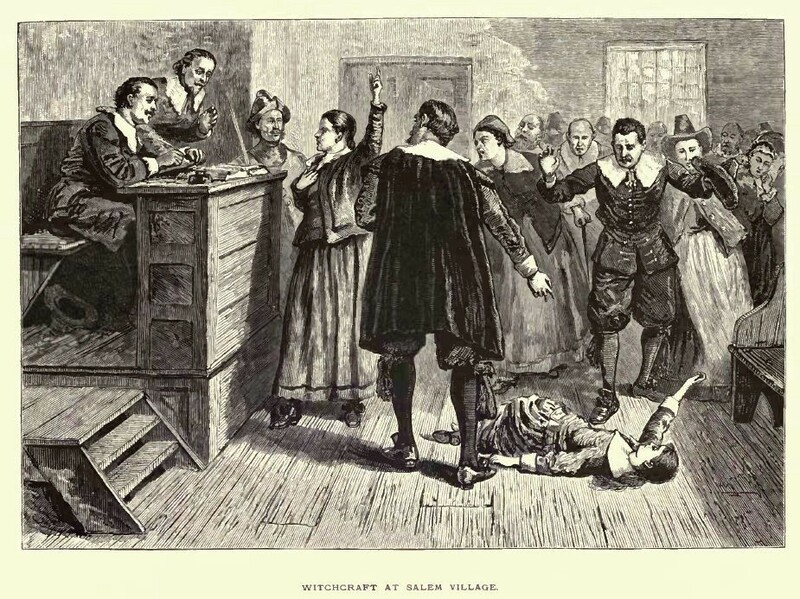 During the Salem witch trials, young girls would complain of stabbing pains or show puncture marks, saying that the accused witches had magically wounded them by sticking pins in dolls or bits of cloth. They described or displayed places where they’d had pins stuck in their flesh, or been “prick’t in the arm till the blood came”; they showed bruises from pinches and bites, and relatives described fits where girls would have pins thrust into them or run through their hands. We can’t know for sure whether they did it consciously or unconsciously (or more likely semi-consciously, since at least one girl knew she was lying — Ann Putnam Jr., who complained of pins in her hands, admitted her deception 14 years later). But whether they knew they were doing it or not, these girls engaged in self-mutilation to inhabit their role as victims and earn the approval of their parents and peers. Being stuck with pins meant you were afflicted by the devil, but it also made you righteous. For a girl to participate safely in the power dynamics of 17th-century Salem, she had to be able to show her puncture wounds. In the 14th century, you needed more than a pinprick. Prospects for women were dismal, but some young women rose to prominence as mystics, elevated through their suffering to positions of spiritual power. They would starve, or burn themselves with wax, or whip themselves until they bled, mortifying the flesh that marked them as both defenseless and debased. (“Medieval theology portrayed women as the more fleshly of the sexes, corrupt and dangerous to men,” writes Jennifer Egan in her account of the teenage mystic St. Catherine. Not much has changed.) It wasn’t only women who caused themselves pain for religious reasons, of course — there were whole orders of flagellant monks. But women claimed power through their suffering, a level of respect and autonomy they would never achieve without it. They still do. The people who worry about the peer pressure aspect of online self-injury forums aren’t wrong. I am 34 and I still get caught up in the strange competitiveness that flickers between girls who share this problem; self-injury photos on Tumblr make me feel ashamed, not for doing it but for not doing it worse. A lot of my scars have faded and I’m inexplicably, absurdly angry at myself for that, as though I proved myself to be all show by letting the marks disappear. There’s an element of performance to Tumblr and Livejournal posts about self-harm, a sort of preening “look how bad I have it” self-congratulation. Even the support is a kind of one-upsmanship — you’re not worthless, I’m worthless. You’re not crazy, I’m crazy. And if I encourage you to get better, I will be unchallenged as the craziest. That competition is real. But like the competition that makes girls goad each other to be prettier or more feminine or more concerned with men’s approval, the peer pressure itself is only a symptom of a cultural pathology. Women have been endlessly told that our bodies are sinful or offensive or not our own, and that we’re more valuable when we’re starving or suffering or at least in some way being punished for what we are. Taking pictures of cuts down from Tumblr won’t change that. Tumblr is powerful because it shows that you’re not alone. You can see that you’re not the only one who’s struggling. But it’s bad too because my Tumblr dashboard can be really triggering sometimes with all the posts from others. Like if you self-harm and you see pictures of cuts/scars it can be very triggering. It can make you start self-harming too. It encourages me to cut. It doesn’t start with looking at pictures. You start looking at pictures and stuff after you’re started with cutting or after you’ve developed an eating disorder. Young women — young people, young women especially — are hurting themselves and posting the evidence online. But they don’t hurt themselves because there’s a community there for them. The community exists because they are in pain. That pain might seem to come from a bad grade or a breakup; the classic self-injurer, like the classic anorexic, is white and economically privileged, not someone whose immediate stress comes from living amid violence or weathering racial prejudice or struggling to support her family. (Of course, this could be partly because white and economically privileged people are more likely to have the time and money for mental health care.) But behind that proximal cause there’s the lifetime of training in shame and self-abnegation that is our birthright. And behind that, there are the centuries of powerlessness that made earlier women pick up the pin or the flail. I don’t mean to imply self-injury is noble. It’s stupid. I would know. But it’s ultimately not an idea girls get from other girls. It’s an idea they get from everywhere else. [T]hose of us for whom these unhealthy messages are going to resonate? We seek them out, because they represent existing beliefs and desires. Regardless of your opinions on nature and nurture, by the time we’re consciously consuming non-Teletubby media, young women are not empty vessels in danger of being filled with bad ideas. We already got the bad ideas, from the input we get every day, from years of media we might not even have paid attention to, from offhand comments that seemed innocent at the time. The girl who lets a Tumblr post whisper in her ear that she needs to be cutting deeper is not some happy naif seduced by the internet blood-sirens. She’s a girl who learned somewhere down the line that she deserved punishment, or that it was virtuous to mortify her body, or that she wouldn’t get validation for anything but being the most fucked-up. That came from the internet too, a little, but it was in the water, the air.